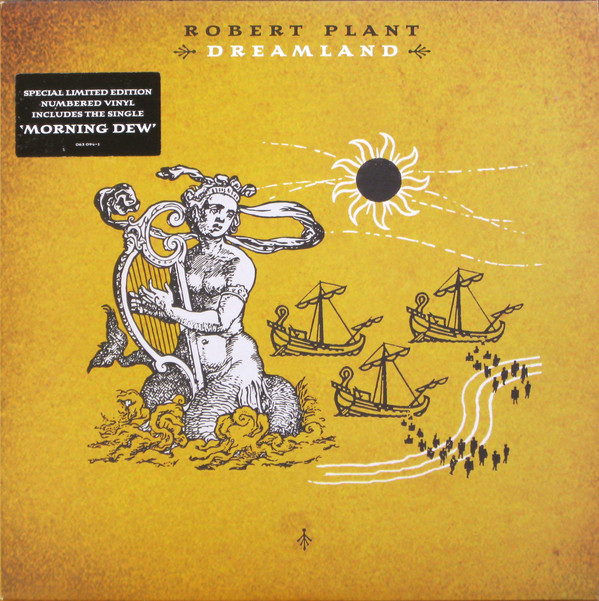 This is an invigorating album largely made up of covers (not all well-known, though) and is mainly blues and rock, with folky and worldbeat influences, probably as you would expect from Robert Plant. I always seem to find that his solo albums get a bit of an unfair press, simply because they are not Led Zeppelin. To use an awful contemporary phrase - "get over it". Enjoy it for what it is, and that is an eminently listenable, enjoyable album. I also have to praise the fact that it discards the synthesisers that were used in many of his previous solo albums. The instrumentation is far more aesthetically pure. 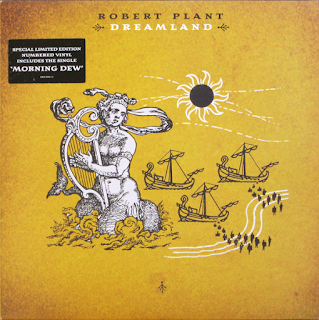 In many ways, the haunting, mystical nature of this album is the closest thing to evoking that Zeppelin spirit as he had done on any solo album this far. "Funny In My Mind (I Believe I'm Fixin' To Die)" has a vibrant Cajun-style, swirling accordion(?) intro, while its melody and general structure puts me in mind of some of Bruce Springsteen's post 2000 material. There is also some seriously good wah-wah guitar at the end of it too. It is a solid, muscular opener. "Morning Dew" is a wonderfully atmospheric cover of Tim Rose's apocalyptic song. The guitar and drum sound is slow burning and evocative and Plant's vocal suits it perfectly. The same applies to the shuffling, beguiling cover of Bob Dylan's "One More Cup Of Coffee". It features some excellent Spanish guitar. It sounds a bit like latter-day Santana, slightly, when it kicks in. Once more, Plant does a great job, vocally. Yes, I love Led Zeppelin, but I also enjoy him doing stuff like this. He sounds invigorated, almost like a new artist. "Last Time Saw Her" is a slightly psychedelic-sounding blues rock number, with some Zeppelin-esque vocals and superb guitar. The funky guitar/drum interplay at the end is impressive. Tim Buckley's "Song To The Siren" is delivered plaintively, over an acoustic guitar and strings backing. Bryan Ferry also covered this, and, funnily enough, there are times here when Plant's voice sounds a little like Ferry's. Age has given both a similar timbre at times. The blues medley "Win My Train Fare Home (If I Ever Get Lucky)" has a sumptuous bass line and a Zeppelin-like spiritualism that will surely win many Zep fans over. The Youngbloods' "Darkness, Darkness" (also covered by Mott The Hoople on "Brain Capers") is also done in a very Zeppelin fashion, right down to the keyboard intro. The guitar solo in the middle is sublime. "Red Dress" is a cookin' fuzzy guitar-driven blues. Lord almighty, this is good stuff. Hendrix's "Hey Joe" is stripped down to sound like an old, authentic Delta Blues. Then the rock guitar slashes and the drums kick in. Wonderful. This is an innovative and inventive cover, for sure. "Skip's Song" is a slightly late sixties-sounding rock number. "Dirt In A Hole" even has a bit of a vague rock 'n' roll sound to it, in its guitar, and a bit of new wave drumming in there too. 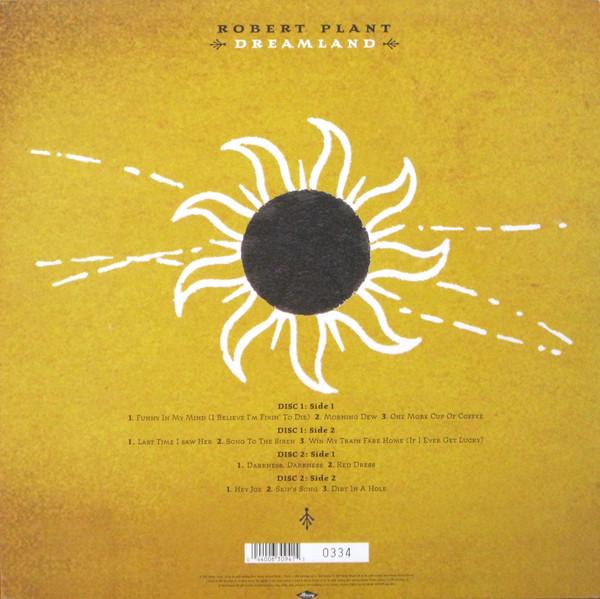 This is a very fulfilling album and is definitely up there as one of the best solo albums Robert Plant has released.